There is quite a lot of buzz in business and creative communities about Instagram. One of the hottest topics being the ‘best’ way to post on Instagram from a desktop. 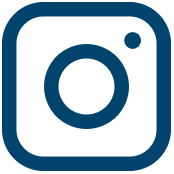 At the moment there is a tonne of different Instagram Scheduling tools that you can use to post on Instagram from a desktop. But which is the best? Which Instagram Scheduling tool offers the best features and can help you to make the most out of your Instagram account? Today we are going to explore the best way to post on Instagram from a desktop, and it’s certainly not what you’re thinking! While there are a lot of different Instagram Scheduling tools on the market, you’ve got to be sure to go through each of them with a fine-tooth comb to make sure they’re really giving you the best option. Out of all of the high-quality Instagram Scheduling tools on the market, Plann offers the most affordable option for small businesses, creatives and influencers. All while including all the features that you need in order to make the most out of Instagram. With the new Plann desktop version, you’ll be able to post on Instagram from a desktop easily and without any worries! Once you’ve chosen your preferred Instagram Scheduling tool you’ll need to collect some high-quality images and videos that you can post to your Instagram account. 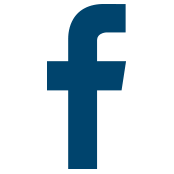 You may also want to collect images and videos in a vertical format. This is so you can schedule and share these pieces of content to your Instagram Stories. Don’t have an Instagram Scheduling tool that can schedule Instagram Stories? Click here to learn more about the Plann app. It’s a good idea to get into the habit of scheduling a week or more of Instagram content in advance so that you can spend less time wondering about what to post and instead spend more time enjoying your life! For our best tips on scheduling content in advance, take a peek at this blog right here! 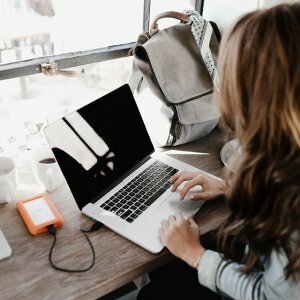 Struggling to create enough content for Instagram? Want to post more frequently? Well, you can repost images and videos from other public Instagram users. Just be sure to credit the original content source in your caption and if you can ask them if it’s okay to share. 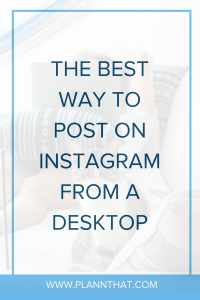 Want to post on Instagram from a desktop like a pro? With the Plann app and soon-to-be Plann desktop version, you’ll be able to repost Instagram content at the touch of a button. Yahoo! After logging into your preferred desktop Instagram Scheduling tool and uploading your content you’ll be able to get cracking and schedule your content. One of the trickiest parts of scheduling Instagram content in advance is knowing what to write for your captions. Need some inspo? Here are our best tips for writing Instagram Captions. Once you’ve edited your images, write your captions and you are raring to go… you can go ahead and schedule your Instagram posts from your desktop. Something that many of us are guilty of forgetting to do from time to time is responding to Instagram comments. With Instagram offering auto-post for businesses you may find it even more difficult to keep up with community engagement. But trust us, it is incredibly important! Building authentic relationships with your Instagram audience is key. It will help you increase your engagement rate, increase your Instagram-driven sales and not to mention your word-of-mouth reputation! If you really want to get the most out of all the work you are putting into your Instagram account making sure to respond to your Instagram comments around the time that your scheduled content has been posted is essential. Want to get even better results? Dedicate 15 or more minutes to leaving sweet comments on the Instagram posts from your followers. Don’t forget to also leave comments on other Instagram users that use the same hashtags as you. Focus on relationship building, and your Instagram account is going to be ah-mazing! Not to mention, you’ll be inspired and excited the next time you want to create a post on Instagram from a desktop. Want to get your hands on the desktop version of Plann so that you can post on Instagram from a desktop? Click here to get on the waitlist.